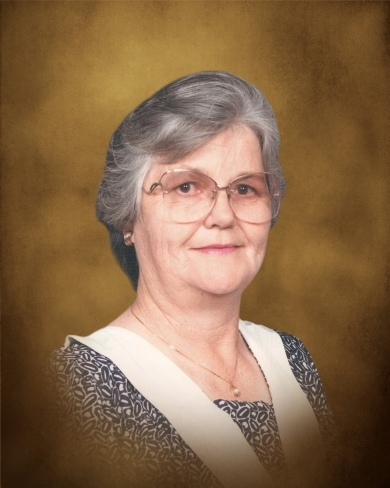 Gracie Lanell Dennard, 81, lifelong resident of Duncan, Oklahoma passed away peacefully Thursday, August 16, 2018 at Duncan Regional Hospital surrounded by her loving family. Funeral services will be on Monday, August 20, at 10:00 AM at Wesley United Methodist Church. Interment will follow at Duncan Cemetery under the direction of Don Grantham Funeral Home. The family will receive friends at the funeral home on Sunday, August 19 from 4:00 PM to 5:30 PM. Bakery in Duncan for several years and for Don Dennard's Gulf and Texaco for nearly 35 years. Gracie enjoyed watching sports especially baseball and football, and dotted highly about how proud she was of her grandson Camden Dennard. Gracie is survived by her son; Terry Dennard and his wife Kim of Duncan, Oklahoma; her proud grandson Camden Dennard; her brother, Jimmie Holloway; and sister, Melba Coursey. She was preceded in death by her husband of 56 years Charles Donald Dennard, her sisters, Linda Ruth Holloway, Virginia Pauline Holloway and her parents. In lieu of flowers, the family has asked that memorial donations made to the Stephens County Humane Society. Pallbearers will be Camden Dennard, Wayne Harrel, and Chris Maxey.